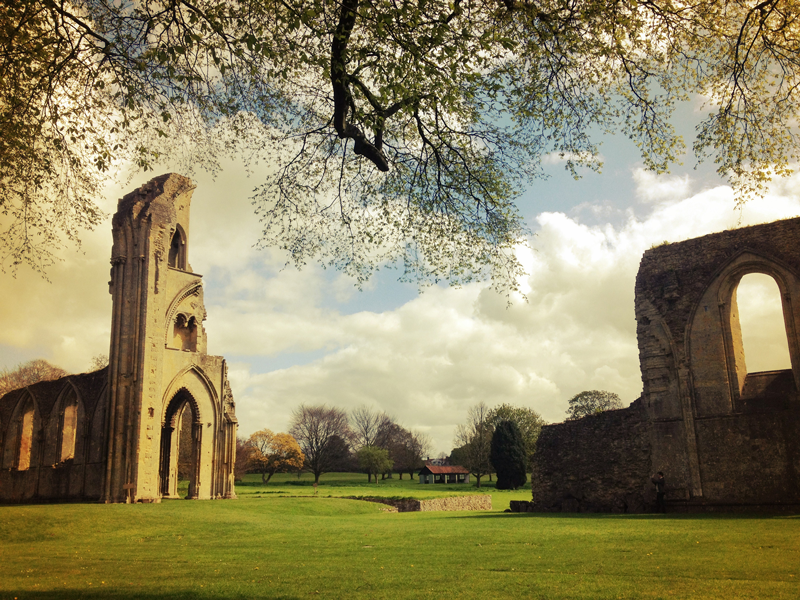 I took this picture at Glastonbury Abbey. I loved the angle, and the shapes of the buildings, they really looked like a door to another dimension. I worked on it a little bit, and here is the result.